Hero Honda Hunk has become a rage among the bike enthusiasts across India. When on road the bike makes its presence felt. Aggressive appearance, powerful performance, advanced safety features – what more can one expect for? 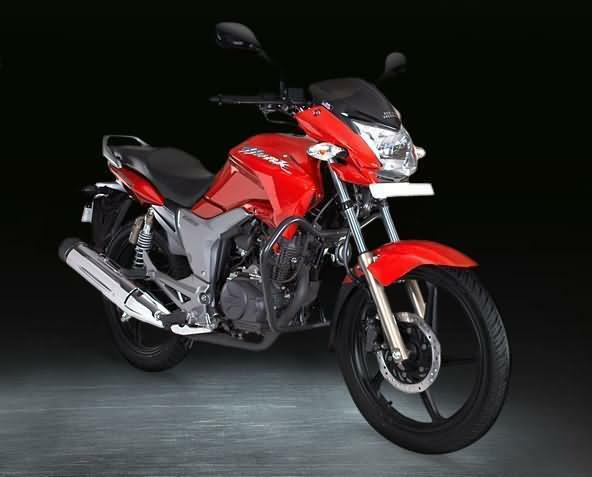 Hero Honda Hunk is available in five colors – Force Silver, Candy Blazing Red, Ebony Grey, Sports Red and Panther Black. The compact built, tank shrouds, fake air scoops on either side of the fuel tank are eye catching. 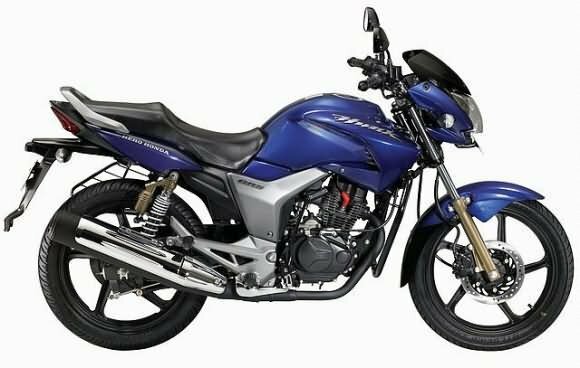 Sleek headlights, stylish, clear lens multi reflector indicators and LED tail lamps give a sleek appearance to the bike. The five spoke black alloy wheels impart a robust look. The overall theme of the bike is significantly black. Hero Honda Hunk ensures a comfortable ride both for the rider and the pillion. The step-up seat and the rear set foot pegs provide the much needed comfort for the rider. The bike has Analogue Fuel Gauge, Analogue Tacho Meter, Analogue – 1 Trip Meter, Digital Speedometer, Pass Light and Low Fuel Indicator. Hero Honda Hunk has many safety features. The front suspension comprises of Telescopic fork, Hydraulic shock absorbers whereas the rear suspension has 5 step adjustable gas reservoir. The braking system is taken care by front and rear disc brakes. Hero Honda Hunk is powered by 149.2 cc, Single Cylinder, OHC, Air cooled, 4 stroke engine which produces a maximum power of 14 bhp at 8500 rpm and a maximum torque of 12.80 Nm at 6500 rpm. The engine has conventional 5-speed gearbox. Moreover, the engine produces tumble induction for efficiency. The price of Hero Honda Hunk is Rs. 60,000 (approx). However, the price specified is indicative price only and reflects lowest approximate price which excludes tax, registration, insurance and cost of accessories.